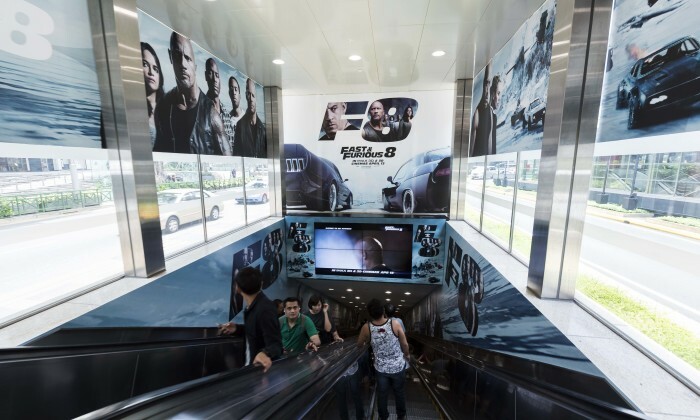 JCDecaux has installed audio-enabled digital screens on the escalator bulkhead of ION Link. United International Pictures is the inaugural advertiser on the upgraded site, advertising its blockbuster, Fast and Furious 8. To reinforce brand recall, it also advertised on ION Link Digital Network on 11 consecutive digital screens. This site, which is right after ION Link, effectively captivates shoppers, bringing them on an exciting Fast and Furious journey. The installation is part of the ION Retail Gateway Package. The digital screens, paired with sticker wraps on glass panels, walls and the bulkhead on the escalator, provide advertisers with an immersive environment to amplify brand messages in the time that shoppers are on the escalator. He will work across both the Lowe and Lowe Profero brands in Asia. ..
She previously worked with BBH China and helped open The Secret Little Agency in China in 2016. ..
Milan Station's Andy Choi explains the rationale behind the brand's diversification into Japanese mini supermarkets and shares exp.. In a bid to promote financial awareness among Malaysia's youth, Prudential Assurance Malaysia has partnered with local indie band ..